Expert tips on guitar picks, from which ones to use to the right way to use them. So you can play comfortably and sound your best. 1 secret to “clean up” your playing. Which means, you’ll control your guitar strings and get rid of extra noise. Explore all 5 positions of the minor pentatonic scale. So you can find the right notes, anywhere on the fretboard. 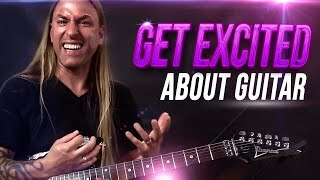 3 essential techniques (hammer-ons, pull-offs, and trills), and how to play them the right way. Which means, you’ll sound like the pros when you solo. 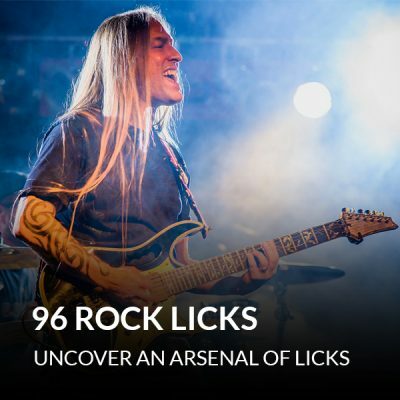 1 awesome 50s-style lick. 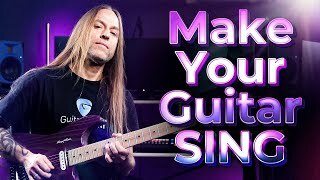 This lick uses string bends, so you’ll see how to use bends in a musical way. Discover advanced bending techniques, like anchor bends, unison bends, and double-stop bends. So you can play solos that really sing… and scream. 1 secret trick for playing rock vibrato, so you can add spice to your solos without straining your fingers. How to create intervallic movement with string skipping. Which means, your solos won’t just sound like scales. Advanced soloing techniques like tapping and pinch harmonics, so you can solo like the pros. 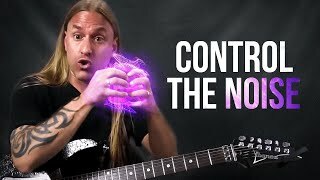 How to use a whammy bar to create vibrato… and how to create some really cool effects with a whammy bar. 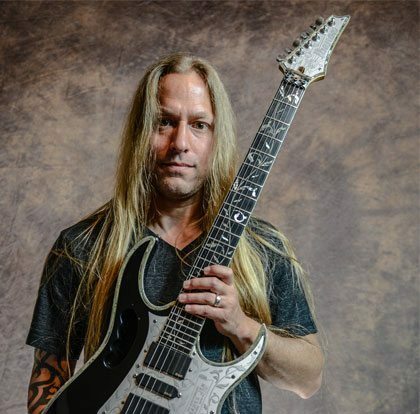 Find out how to create blazing licks with arpeggios. So you can play fast and always hit the right notes. I have not started the course. I have watched a few minutes of the video instruction and it is really exciting. I feel that I need to give you an excuse for not starting at this time. I am 61 years old and work 6 - 12 hour days. Having this type of work schedule prevents me from doing a lot of things I prefer / need to do. I have been purchasing all of your lessons for the past 3 years planning on my upcoming retirement; somewhere between any day now and 4 years from now. I don't want to be one of those persons who retire and have nothing to occupy their time. Hopefully, before long you will see that all of my courses are being checked off as completed. Thank you for your system and your concern about my progress. Keep up the good work. At 70 after a stroke I'm starting over again. I really like Steve's teaching and it is helping me relearn again. 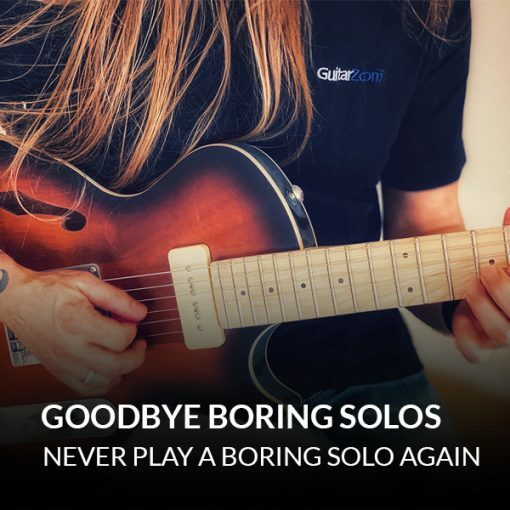 Good Bye Boring Solos helped me alot and thank you for the wonderful lessons. I only been trying again for a year and the lessons are really making a difference. That’s wonderful! It really help me a lot! It solved my picking problem. Now I can learn licks more smoothly. 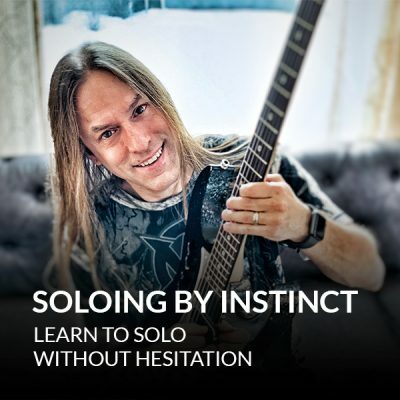 Also, those concept and essential techniques that make solo sing are very useful for me. This is an awesome course!! I started at the beginning and even though I've been playing a while I learned some new things. As always Steve you never disappoint !! Great job.